It is no secret that no two supplement companies are equal. The same supplement produced by two different companies can have distinct effects for the same person due to the quality of the manufacturing process. Ortho Molecular is a bit different from most supplement companies. According to their website, the company owns the manufacturing facilities where the supplements are made. Most supplement companies, albeit for Optimum Nutrition and some others, usually outsource the manufacturing of the supplements to others. This is not a bad action in itself, but companies that own the facilities usually have a higher potential for quality since they can oversee the process of production, make sure everything is up to standards, and complete pre/post inspections, if they desire to do so. Let’s see if Thyrotain lives up to the mission of Ortho Molecular Products. 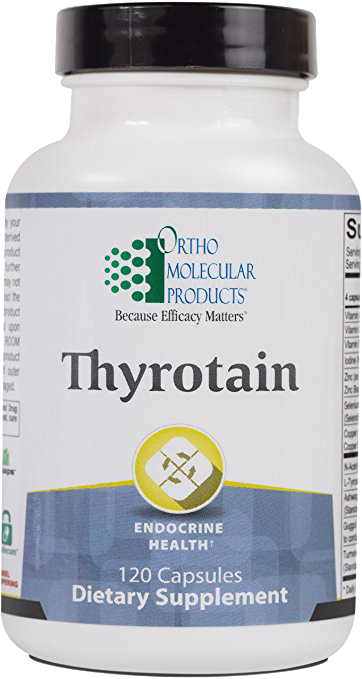 According to Ortho Molecular Products, Thyrotain is a thyroid support supplement that contains a multidimensional blend of nutrients and botanicals that work to support healthy thyroid functionality and and promote the synthesis of T4 and T3 hormones. This is the second and current version of the thyroid supplement they are selling. Ortho Molecular had originally released another thyroid supplement under the same Thyrotain brand name some time ago, but the formula was very different and contain a lot less vitamins, minerals, and herbs. 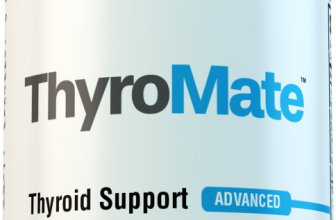 Based on previous reviews, their first generation thyroid supplement did not do so well in terms of success and results for the users who took them. Ortho Molecular hopes that the new formula better supports thyroid health and helps those with thyroid disorders more. Similar to any other supplement, its effects depends on the formula of the product. Having a lacking formula almost always means that the resulting supplement will largely be ineffective. But at the same time, having a formula that hits all the checkmarks does not necessarily mean that the supplement will be satisfactory for the user. Often times supplements contain significantly less amounts of a vitamin or mineral then the supplement facts state. Nevertheless, it is still important to start with the supplement facts label to ascertain how effective the supplement could potentially be. In Thyrotain, we see the same, tested and true essentials of Iodine, Zinc, Selenium, Copper, and L-Tyrosine. All of these minerals and amino acids are required to support and produce thyroid hormones that our bodies need (you can click the links to get more detailed information on how exactly.) 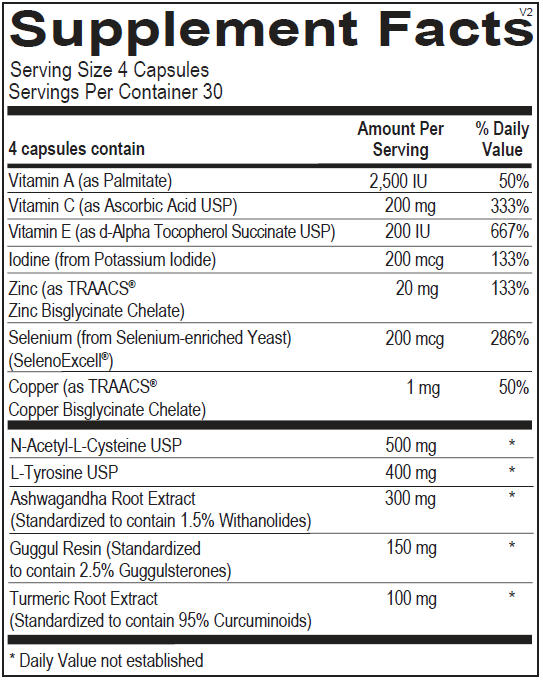 It is great that Thyrotain includes it, but it is even better that they include the high potency versions of them as indicated by the TRAACS and SelenoExcell labels in the supplement facts picture to the left. The same goes with its herb. Ashwagandha in particular is a great boost. It is interesting that Thyrotain opts to use the lesser known and studied vitamins in their thyroid supplement, like Vitamin A, C, and E, rather than what most experts consider the essential minerals of Magnesium or Molybenum or even the natural energy boosting effects of Vitamin B-12. This is not necessarily a bad thing in itself. I have long advocated for the inclusion of these lesser known vitamins in thyroid supplements in place of some of the less useful ones. But I do wonder if taking out the better studied minerals in place of the lesser researched Vitamins could end up hurting the supplement. I believe the thyroid supplement would end up having a lesser effect than if it had included the other minerals. Reception to Thyrotain has generally been well. Most experience some form of effects, though some report that it takes a little bit longer to feel it, then most thyroid supplements. However, there is still a small percentage of those who report not feeling anything, and an even smaller number that actually reported adverse effects. Perhaps it might be due to a bad batch or the lack of a whole, complete formula. Whatever the reason is, Thyrotain does not work seem for be the solution for absolutely everyone, though it will likely work for most. Thyrotain currently costs $37.40 on amazon. It may seem like a lot, and it is more than the usual amount, no doubt in part due to the premium of the high potency extracts used in the formula. Each bottle comes with 120 capsules. This may seem like a lot at first, but once you consider the fact that you have to take 4 capsules a day, each Thyrotain bottle only lasts 1 month, much like almost every other thyroid supplement. With no money back guarantee that we have seen, it will be up to the user if they want to take the risk of purchasing this supplement with no guarantee. I am having an issue with extremely dry eyes. I wake up in the middle of the night and need to put eye drops in my eyes. I ran out of the supplement and the eye problem went away. Are other having the same issue as a side affect? I also noticed an increase in dry eye. I thought it was age, or the state I live in, but now I am wondering if it could be caused by thyrotain. More information about that would be great to have.